The Government of Nauru, the small Pacific island State, has expelled the medical and psychological personnel of the international non-governmental organization Médcins Sans Frontiers (MSF) on Sunday 7 October. The Government gave no explanation for its actions, but relations with the NGO have been difficult in the 11 months that MSF has been working there. It is likely that the Government feared international attention to the prison-like conditions in which refugees and asylum seekers were kept. The Australian Government in 2013 created camps on Nauru to house asylum seekers who were trying to reach Australia by boat. 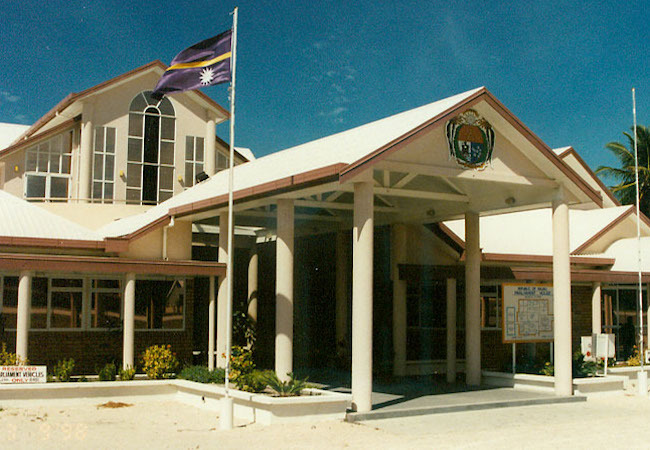 Nauru uses Australian money a its national currency, receives the bulk of its financing as aid from the Australian Government and the bulk of its products come from Australia. Thus refusing orders from Australia is difficult. As president of an international child welfare NGO, I was responsible for mental health efforts for traumatized children and youth in Cambodia and Croatia suffering from the impact of war and in Bangladesh suffering from the loss of homes and families due to natural catastrophes (flooding). Sever cases of childhood psychosis may require long-term psychotherapy. Often freauent and severe language disturbances are observed. In the absence of adequate care an psychotherapy, these children can become mentally deficient, unable to perform their duties as adults. There is an urgent need for early psycho-social care. The term “psycho-social” underlines the close relationship between the psychological and social impact of refugee flight. By psychological effects we mean those experiences which affact emotions, thoughts, memory, learning and how a situation may be understood. Bysocial effects we mean how experiences alter people’s relationships to each other. The psycho-social impact must be assessed as soon as possible in order to develop effective programming.